Did you know mustard is a relative of cabbage, broccoli and radishes? 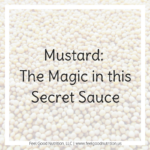 This family of vegetables is the Brassica family and has very potent health benefits and mustard has been one of favorites to focus on lately. 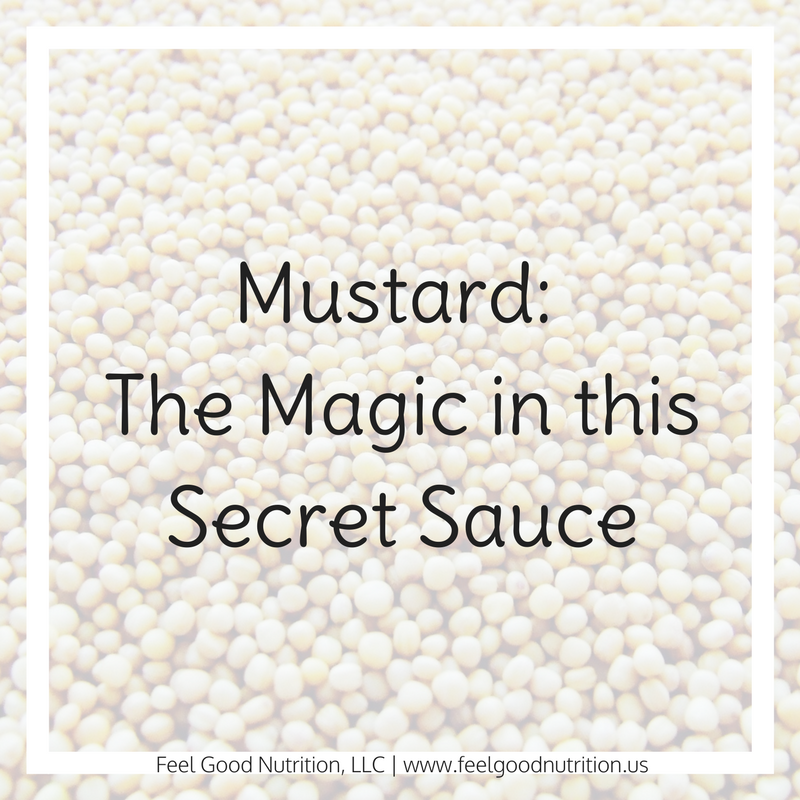 I have been finding places to put ground mustard, mustard greens, and even yellow mustard on foods whenever I can. Let me tell you why! Mustard greens appear in the top four vegetables that are especially high in phenols. Phenols are chemical compounds that have strong inhibitory effects against the mutation of cells and formation of cancer. Other cancer fighting compounds in mustard greens are antioxidants. These substances prevent cell damage that leads to mutations in DNA and can be very dangerous to the body. Mustard greens also has benefits directly in your liver and your blood. They are potent detoxifiers and can cleanse the liver and the blood by pulling environmental toxins from the blood stream, neutralize heavy metals and help eliminate pesticides from your body. High in vitamin K, which is a major vitamin important in bone building, blood clotting and removing calcium from places that it shouldn’t be. Over 50% of your daily vitamin C in 1 cup of mustard greens, which is important in the body’s repair process. Vitamin C can help prevent cell damage, maintain healthy tissue build collagen and maintain blood vessels. NOTE: If you are taking a blood thinner (warfarin/coumadin) talk with your doctor before consuming foods high in vitamin K.
Mustard seed is used as whole seeds or ground up into a fine powder, which is what gives the mustard condiment its spicy taste. Mustard seed, like other vegetables in the Brassica family, contain a phytonutrient called glucosinolates as well as an enzyme called myrosinase. When this phytonutrient and enzyme come together during the chopping, chewing, or grinding process they form another phytonutrient called isothiocyanates. Eating high amounts of these phytonutrients have been shown in animal studies to inhibit the growth of cancer calls and protect against the formation of new cells. This benefit only applies in the raw vegetable/spice. When heated, the myrosinase enzyme is denatured (killed off) and the vegetable does not have a chance to create isothiocyanates. For this reason, anytime I cook a vegetable in the Brassica family, I have been adding mustard powder after cooking. This readds the myrosinase enzyme back into the food so that it can work with the glucosinolates to create isothiocyanates. 1 Tablespoon of Mustard powder has 25% of your daily needs of selenium. This mineral helps reduce the severity of asthma, helps prevent cancer and decreases symptoms of rheumatoid arthritis. There is a higher amount of omega-3 fatty acids compared to omega-6 fatty acids which is an unusual find in our food supply. Omega-3 fatty acids have numerous anti-inflammatory benefits and on average we are getting more omega-6 fats in our diets than we really need. A couple of ways to start adding mustard to your day! Sprinkle mustard seed on your cooked Brassica vegetables: cauliflower, cabbage, broccoli, Brussel sprouts, kale. Add whole mustard seed to a coleslaw recipe. Add some Dijon mustard to your favorite vinaigrette dressing. Marinade salmon fillets in Dijon mustard and white wine. 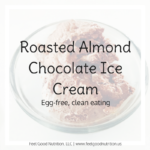 I realize my last recipe post was about fudgesicles but I can’t miss an opportunity to share my Roasted Almond Chocolate Ice Cream recipe 😊 . Brandon and I have an ongoing joke that we make the best ice cream. Okay, so we aren’t actually joking when we say this. We really do make the best ice cream. 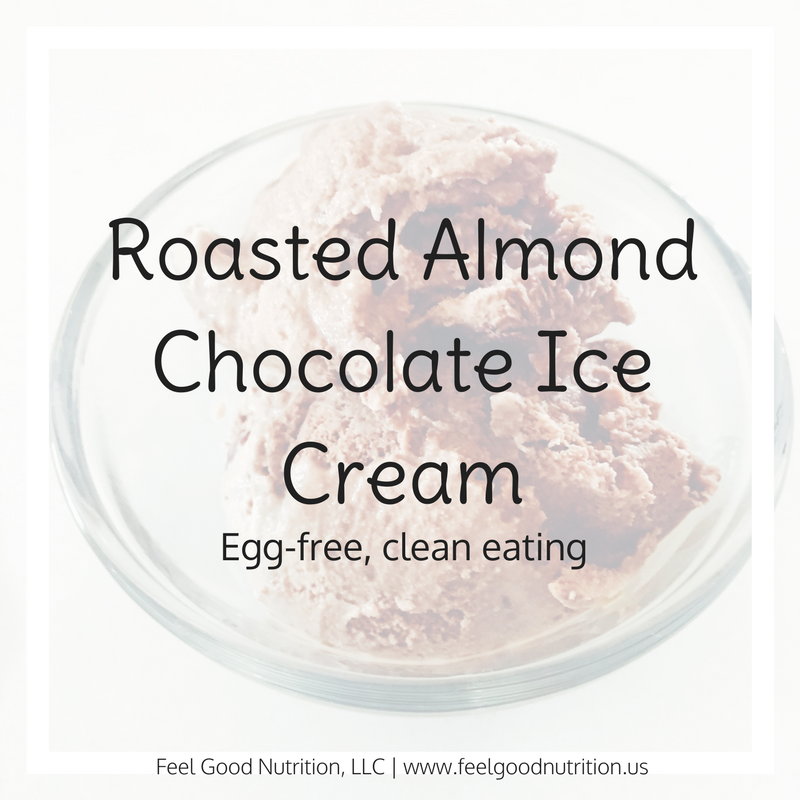 Homemade ice cream trumps store bought ice cream any day. Not that ice cream is something we should be eating all the time but the more affordable brands are full of unnecessary ingredients. There is definitely a good reason to look at ingredient labels and spend a little more money for a higher quality product. Did you know that carrageenan is a thickener derived from seaweed? Sounds harmless, right? Well, some animal studies have linked exposure to carrageenan to stomach ulcers and GI cancer. Other peer reviewed studies show that it causes inflammation, which is the root cause of many serious diseases including Alzheimer’s, Parkinson’s disease, cancer and inflammatory bowel disease. Make sure ice cream bowl is in the freezer at least 24 hours before making ice cream. Pour milk, cream, sugar, vanilla and cocoa powder in a bowl and whisk until well combined. Set up ice cream maker and pull ice cream bowl out of the freezer. Pour ice cream mixture into bowl and turn oil. Let the machine run for about 15 minutes until soft serve consistency. Add chopped almonds and run for another 2-3 minutes. Transfer ice cream to a storage container and freeze until solid. Enjoy! Nutrition information is not provided due alterations that can be made to accommodate food sensitivities. Sugar – cane sugar, beet sugar, blonde coconut sugar, brown coconut sugar would be great with chocolate ice cream! 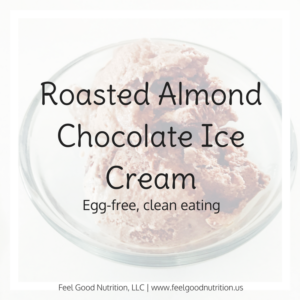 Cocoa – carob powder – or leave it out for vanilla ice cream! Now that its summer we all want ice cream, right? I always thought I hated chocolate ice cream but one thing I love is fudgesicles in the summer time! Who am I kidding, how could I hate chocolate ice cream? Brandon and I keep hearing the ice cream truck pass by our house but I swear it makes sure that we are not outside because we are usually outside most days of the week and he never drives by when we want him too! 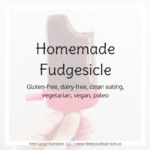 This weekend I got creative and tailored a standard fudgesicle recipe to my food sensitivity results and then I got to thinking. How can I make this even more customize-able!? I want everyone to be able to eat fudgesicles if their heart desires. 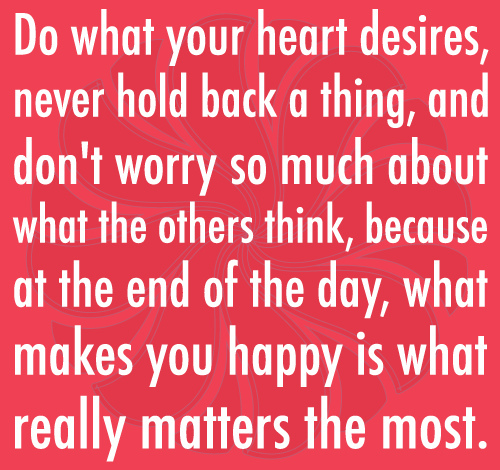 And fudgesicles make me happy. 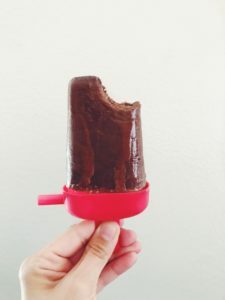 These fudgesicles are super chocolaty and perfect for a hot summer day! In a pot, whisk together the granulated sugar and cocoa or carob powder. Add the liquid sweetener and flavor of your choice. Turn the stove on medium heat and pour in your milk. Whisk until chocolate and sugar are dissolved. 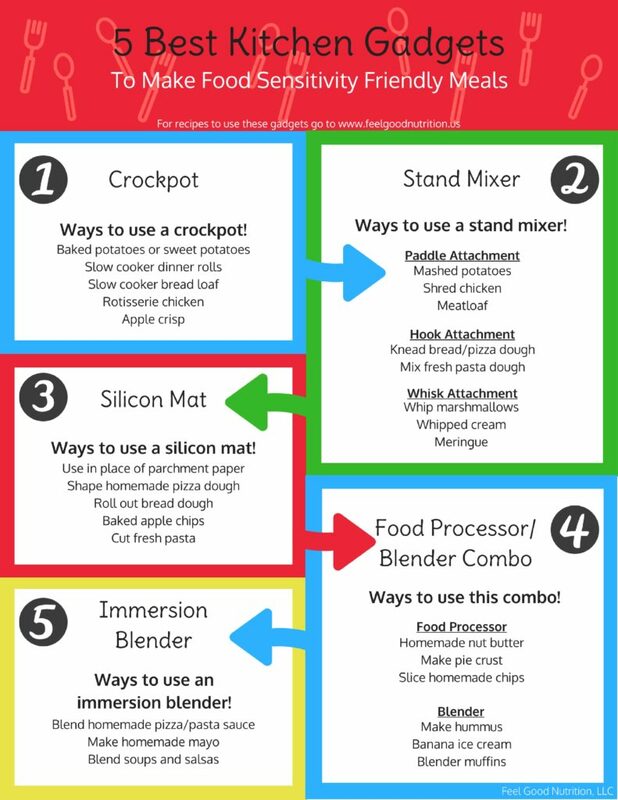 The mixture does not have to boil but the heat helps it dissolve better. Milk: whole fat coconut milk or 2% or whole cow’s milk – you need some fat! Chocolate: you can also use carob powder for a caffeine free version! Flavor Extract: vanilla, almond, mint would all be great flavors – I would use ½ tsp if you use mint because it is strong. June is national dairy month so in the spirit of this month let’s take a look at the different milk options that are available. This is a big conversation with my food sensitivity clients and we really try to make milk out of pretty much anything! Even if you are not a milk drinker per say (like me) it is always nice to have a type of milk around for smoothies, baking and cereals. Before we started getting creative and blending up everything into milks we only had cow’s milk, well I guess goats milk too but that is not very common. Cow’s milk comes in many varieties: whole, 2%, 1%, skim (fat-free) and lactose-free. 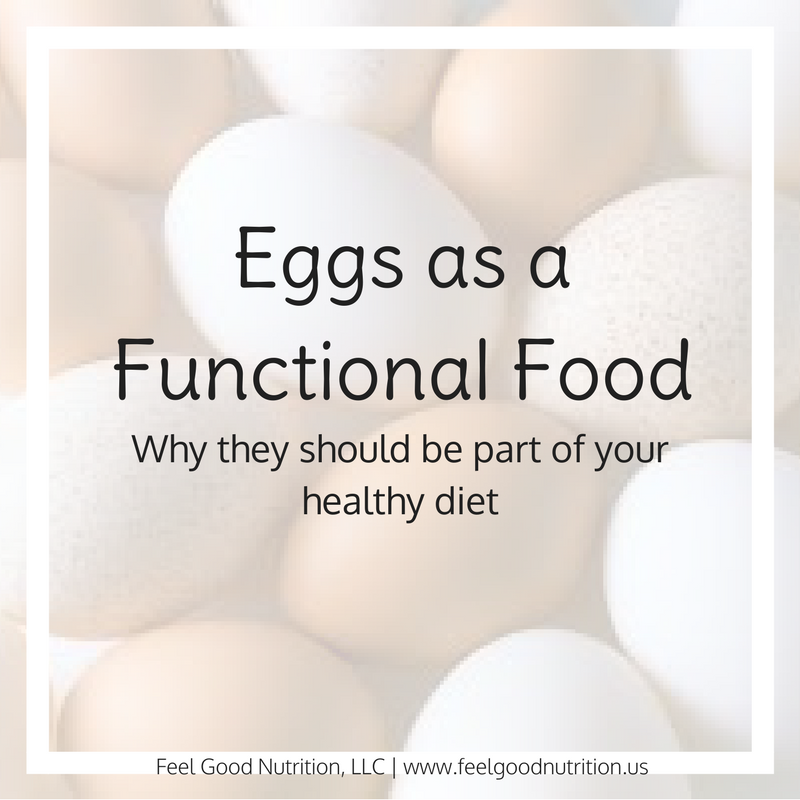 The component that makes each of them different is their fat content and therefore the calories as well. Each type of cow’s milk has the same protein, calcium, vitamins and minerals however, choosing fat-free milk will affect the absorption of some of the vitamins that require fat (vitamins A, D, E and K). Lactose-free milk is processed in a way that breaks down the lactose sugar that is found naturally in milk. It still has all of the nutrients listed above. About 65% of the population is lactose intolerant, meaning they do not make adequate amounts of the enzyme, lactase, to break down the milk sugar. Symptoms of a lactose intolerance include abdominal pain, bloating, flatulence, nausea, and diarrhea 30 minutes to 2 hours after consuming a lactose-containing product. For these people, lactose-free milk would be a great option. Soy milk is made from soybeans and water. It is a plant-based milk and therefore it is free of cholesterol and very low in saturated fat. It is naturally lactose free. Soy is a controversial topic because of its estrogenic effects but the current thought is that it is still ok in moderate doses. I would limit to 1 serving of non-GMO organic soy per day but I have heard others say 2-3 servings per day. Too much soy can be a problem for those with thyroid conditions and may prove harmful for women with a history of estrogen-receptor positive breast cancer. Other than that, moderate consumption of soy products are rich in Omega-3 fatty acids and can be part of a heart healthy diet. Don’t have time to make your own? Here are a couple brands that I recommend to make your lives easier 😊. They are all made from whole, organic non-gmo soybeans and water. Almond milk made from almonds and water. It is lower in calories than most other milks and also free of saturated fat. It is naturally lactose free. Even though whole almonds are a good source of protein, almond milk is not a good source of protein or calcium. Store bought almond milk often contains carrageenan, a thickener and emulsifier. Some studies have linked carrageenan to increased inflammation in the body and often stomach problems. Since it is not recommended to buy the cartons of almond milk at the store, here is a very simple recipe from Danette May to make your own! Coconut milk is made from unsulfured, unsweetened coconut meat and water. It is a plant-based milk however, it does contain more fat than other milk alternatives. It is naturally lactose free. The type of fat found in coconut milk is medium-chain triglycerides (MCTs) which have gained in popularity over the past several years. 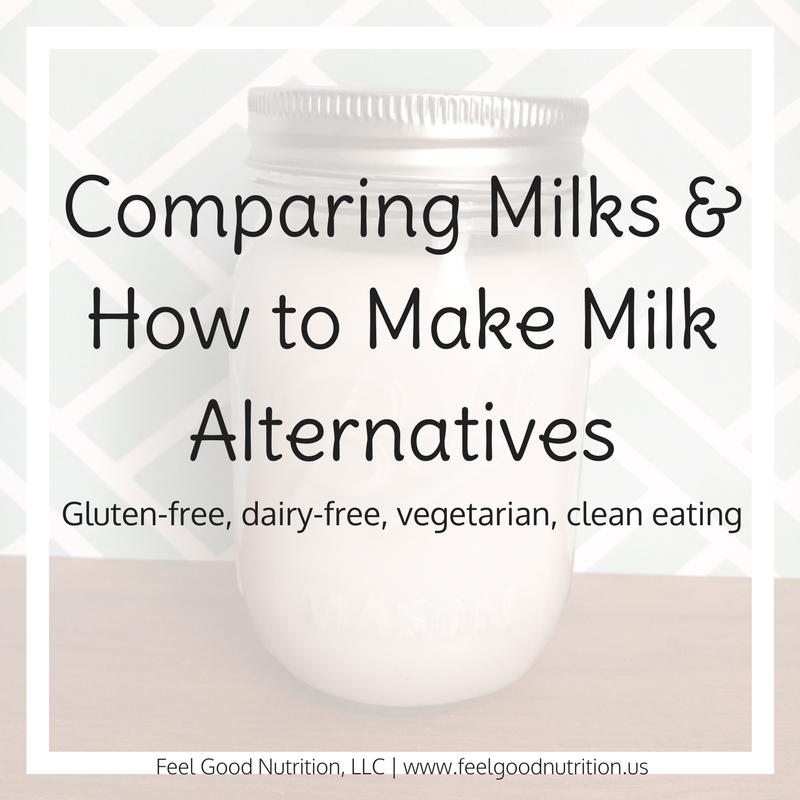 Just like other store bought milk alternatives, coconut milk often contains added thickeners and other ingredients like carrageenan which has its negative effects. Making your own coconut milk is as easy as 1-2… that’s it! 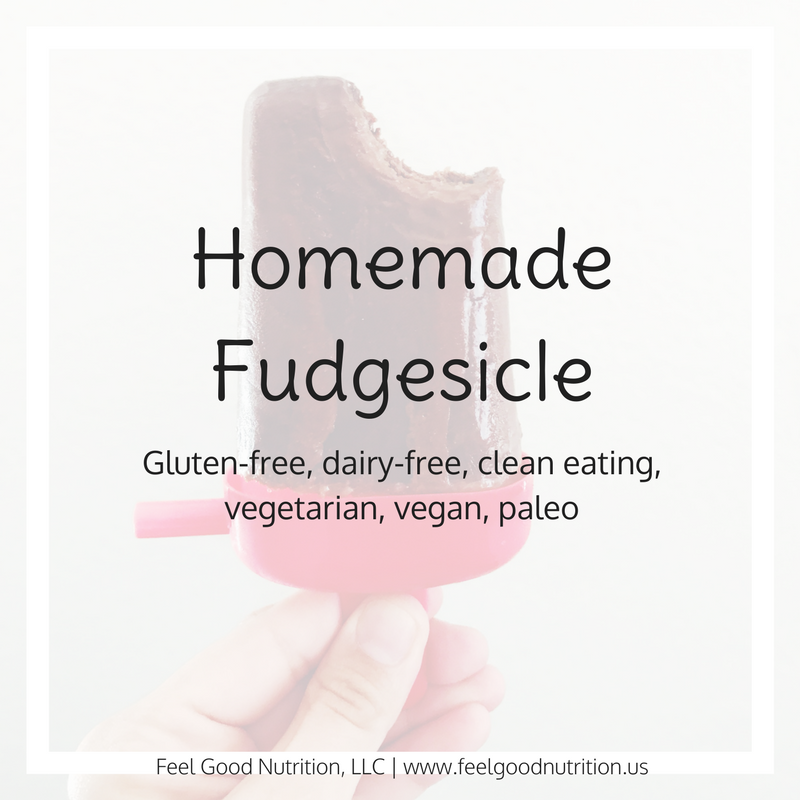 Wellness Mama has a great recipe that I use! If you choose to skim off the fat from your coconut milk you can make it into a wonderful coconut whipped cream for dessert. Rice milk is made from rice and water. It has very little protein and fat but is higher in carbohydrates than the milk alternatives discussed above. This is a good choice for those who are lactose intolerant and/or have allergies to milk, soy, or nuts. Rice does contain higher levels of arsenic that is taken up from the soil while it is growing. Because of this it is not recommended to rely on only rice and rice products. Be sure to focus on consuming a variety of other grains throughout your day. As with other store bought milks, you can expect to see added thickeners and preservatives to improve shelf life and consistency. 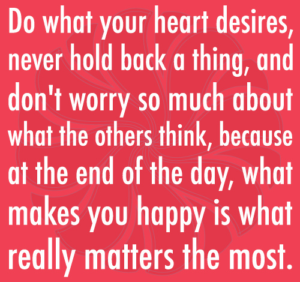 For this reason it is best to make your own and it is very easy! Money Saving Mom has a great recipe that helps you plan ahead so that you don’t have to cook rice every time you want to make your milk! 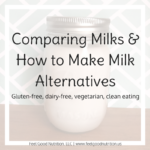 If none of those sounds appetizing or work with your food sensitivities here are 9 other milks that you can make at home! 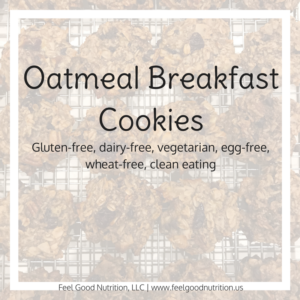 I’ve always struggled with finding a quick and easy breakfast that fits with my food sensitivities. 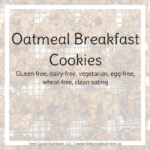 Then I came across these cookies, made some modifications to meet my food sensitivities and BAM – my oatmeal breakfast cookies were born 😊. I started making these cookies a couple of years ago and got my whole family hooked – I even gave them out as Christmas presents! Oh the life of a poor post grad… Those were the days when it was acceptable to give cookies for family Christmas presents. These past couple of weeks on the new job have been great…and busy! I love my cancer patients and survivors about a healthy diet but I am so glad to keep my private practice and continue my work with food sensitivity clients. 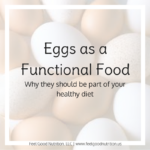 With my busy schedule of work during the day and food sensitivity clients in the evenings and weekends I am always looking for quick, healthy meals. I had forgotten about these cookies until recently and I’m excited to bring them back and share with all of you. These cookies are great frozen! Place parchment paper on large cookie sheet. Combine all the dry ingredients in a large bowl then add all the wet ingredients. Mix well until combined. Form cookies – about 2 tablespoons each – onto the cookie sheet. You can place them all on one pan because they do not spread so keep them close together. Bake about 25 minutes until golden brown then cool completely on the pan. The chia seeds and cinnamon are optional. Leave them out if you have not added this into your diet or do not know if it is a potential trigger food. We have finally arrived in sunny Arizona! Here is a picture that I took on our drive. We took a wrong turn and ended up on 50+ miles of switchback road through the mountains. It was getting dark so this was not a fun part! We made a short stop to let our cars cool down and this was the view that we had :). 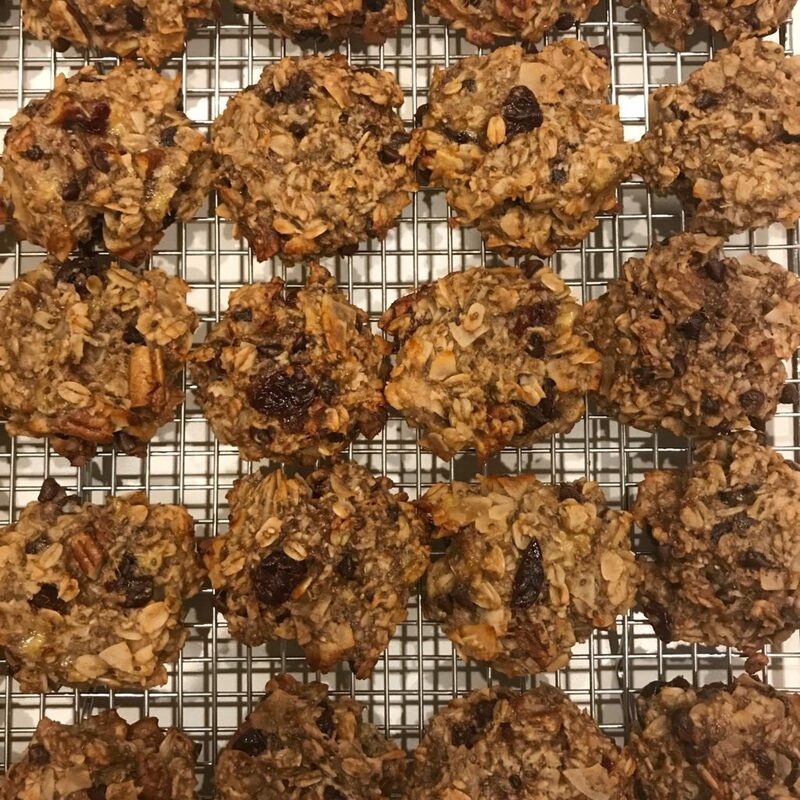 Yesterday I put my kitchen gadgets away and got organized so naturally the first thing I did this morning was bake chocolate chip cookies (isn’t that what anyone else would do?). 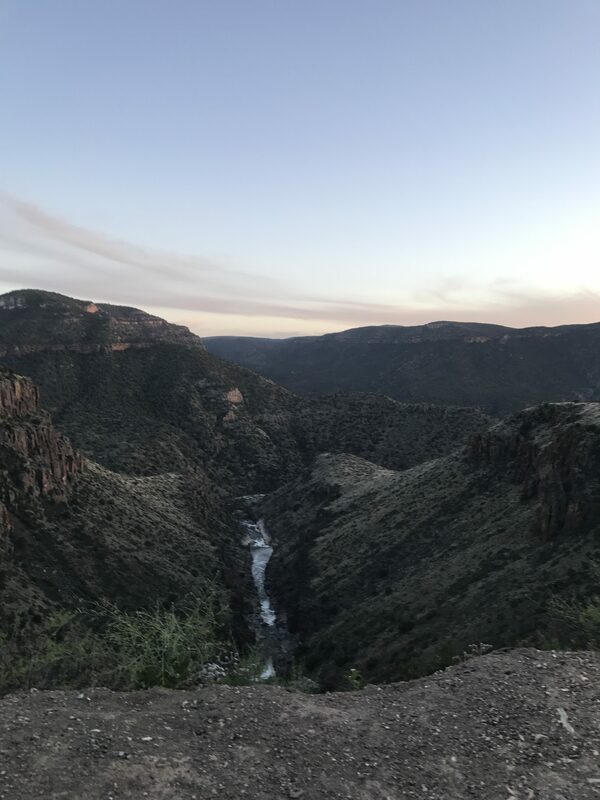 This drive was not easy – 27 hours total! We split it up over 3 days but sitting for so long really tested my patience… and my hip flexors. 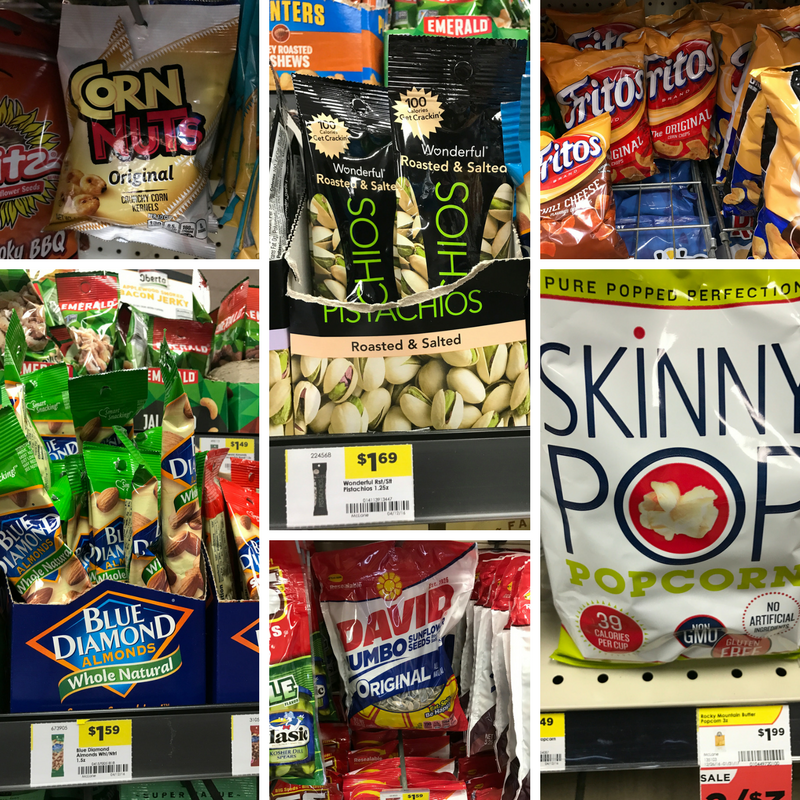 I brought a couple healthy snacks like pistachios, dried apricots and corn nuts. Side note: Yes, I know corn nuts are not healthy. Meals were difficult because on road trips you’re expected to eat fast food, right? I brought food with me but that only lasted so long. I tried to pick the best foods for me which consisted of hamburgers, French fries and unsweetened ice tea. Based on my food sensitivities, that was the best option. I know that I can handle bread, beef and potatoes. The frying oil was questionable but all went well! Some may ask why didn’t I get a salad? And the answer is that I have a lot of foods that cause my IBS to flare up, several of them are the proverbial “healthy” foods. There are so many ingredients in a salad, not to mention the dressing. At a minimum there is lettuce, tomato, cucumber, carrots. Then you add salad dressing, which is an oil, vinegar, and a boat load of spices – which typically includes garlic. In this short list, I am sensitive to tomato, carrots and garlic. These are some of my biggest triggers so I went the safe route and ate a hamburger and French fries. 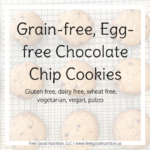 Our pantry is sparse right now but I managed to alter a recipe from The Food Fanatic to meet my food sensitivities as well as my clients. Mix together solid coconut oil, allowed liquid sweetener, vanilla and salt. Add baking soda, coconut flour, almond flour and mix until combined. Stir in chocolate chip cookies. Let cookie dough sit for 5-10 minutes so that coconut flour can absorb the moisture. Bake for 8-10 minutes or until golden brown. Let sit on baking sheet for about 5 minutes before moving to cooling rack. These cookies will be soft right out but as they cool they become chewy and delicious. 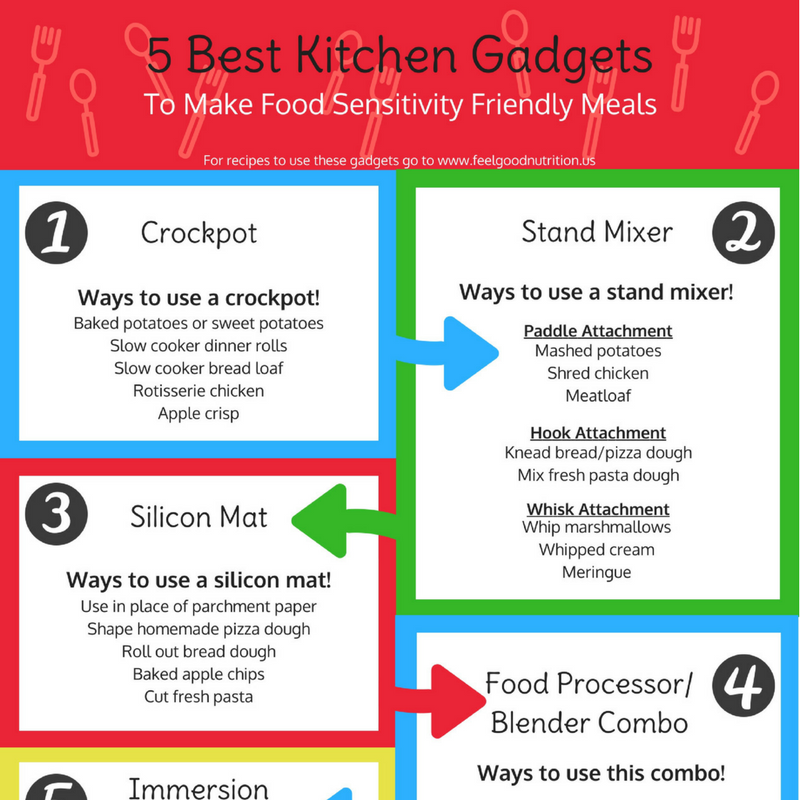 What is your favorite sensitivity-friendly cookie recipe? 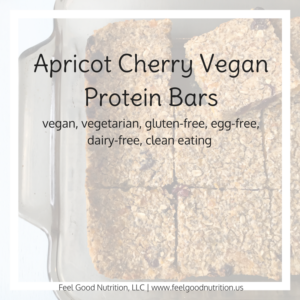 After my month long hiatus I’m coming at you with some pretty amazing vegan protein bars. This month has been busy and I have not had much time to try new recipes or even cook much! I recently came back from a trip to Punta Cana, Dominican Republic. It was a blast but talk about a challenge for those us of with IBS! I was sick with stomach pains for a good part of the trip but I tried not to let that interfere with the fun. My food sensitivity test results allowed me to make smart choices. It was difficult when I didn’t know the ingredients in meals and sometimes it was hard to avoid. Nevertheless, I have a new love for cassava/yucca because that’s what I ate most of the time. I’m excited to experiment with it now that I’m home and make some awesome recipes! 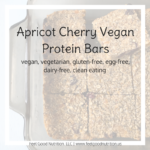 Okay so back to these amazing vegan protein bars that I touched on early. I wish I could claim this recipe but I have adapted it from Lindsay Cotter at her blog: Cotter Crunch. 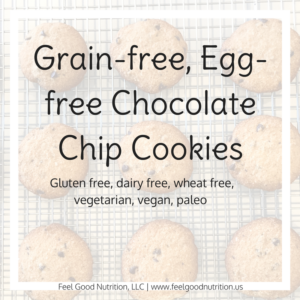 She specializes in healthy, gluten free cooking and has some pretty amazing recipes! 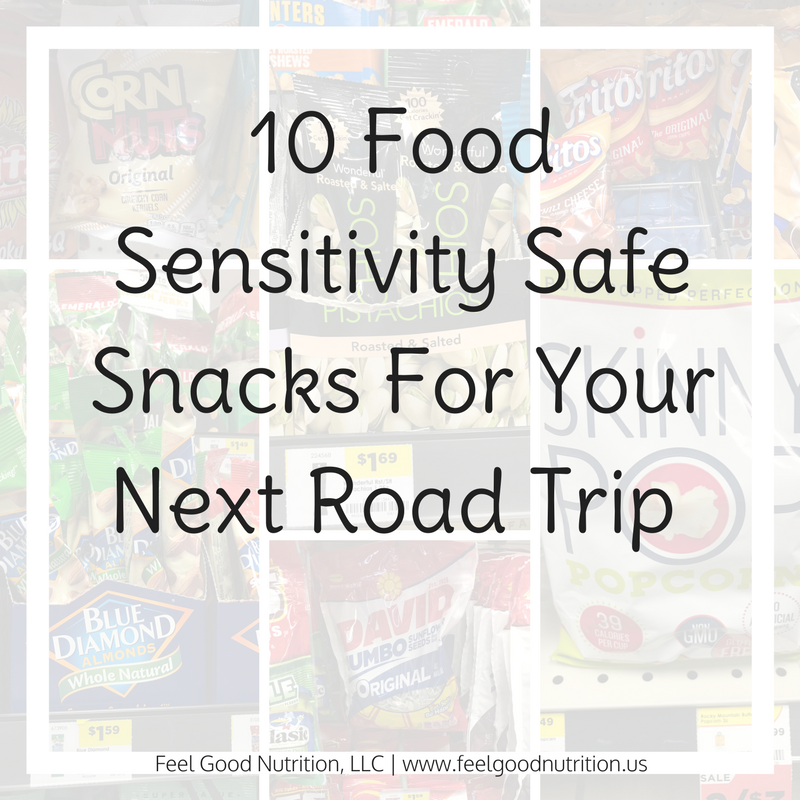 I try to post recipes that contain ingredients found on our food sensitivity blood test – there are 120 different foods so we try to stick with that. This recipes veers off a little. The one extra ingredient that is not tested is chia seeds. 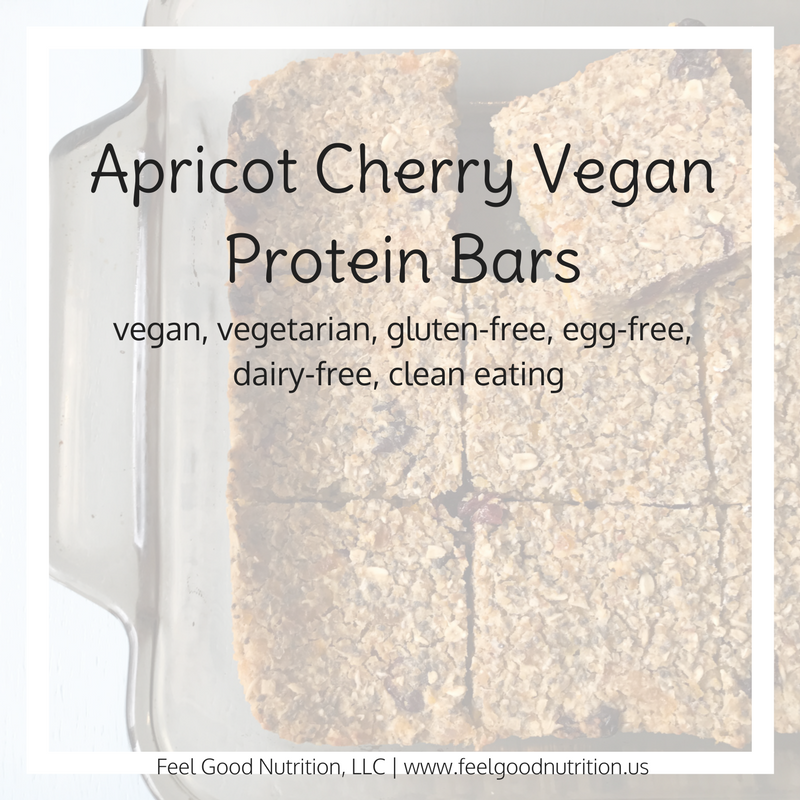 They add 6 grams of protein to the batch and some healthy fats but if you can’t have them then take them out! I will list them as optional in the recipe below. 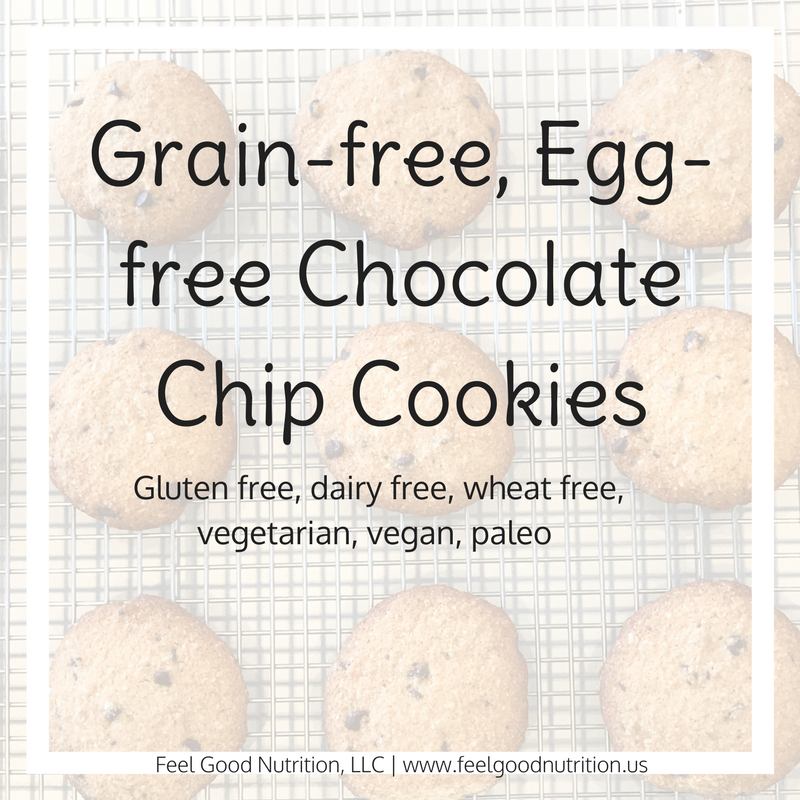 If the recipe doesn’t 100% work for your food sensitivities make sure to scroll all the way down. 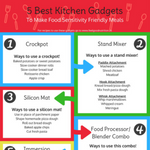 I try to make my recipes very general so that they work for everyone. There are so many substitutions that can be made for this recipe so that it works for you! 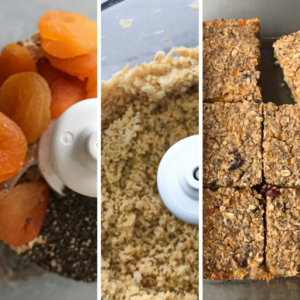 In a food processor (or blender) combine oats, chia seeds and apricots. Blend until chopped. Empty contents into mixing bowl. In same food processor (or blender) add chickpeas. Blend until finely chopped (not pureed). Add chickpea meal to same mixing bowl. Mix in allowed sweetener, allowed milk, cinnamon, vanilla, salt, dried cherries. Batter will be very wet. Pour batter into greased 9x9 pan and spread out to even mixture. Bake at 350F for 30-40 minutes or until edges are golden brown and center is no longer soft. 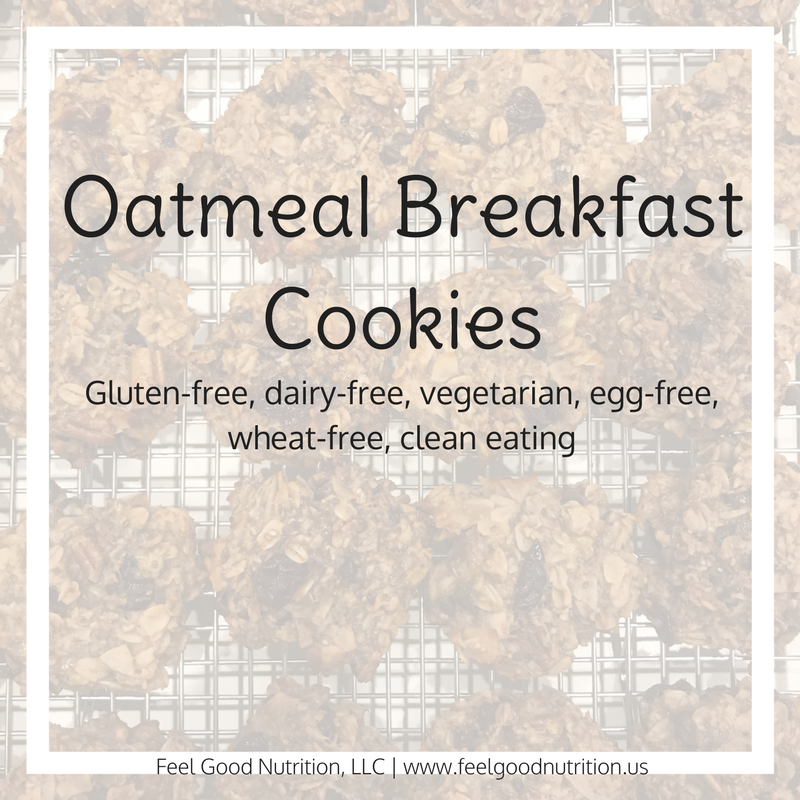 Oats – you can substitute with any rolled grain like quinoa flakes, barley flakes, rye flakes, spelt flakes, wheat flakes. What’s your favorite homemade bar?